Yesterday we went all to the beautiful and powerful Shiva-Temple and were allowed to take many blessings. 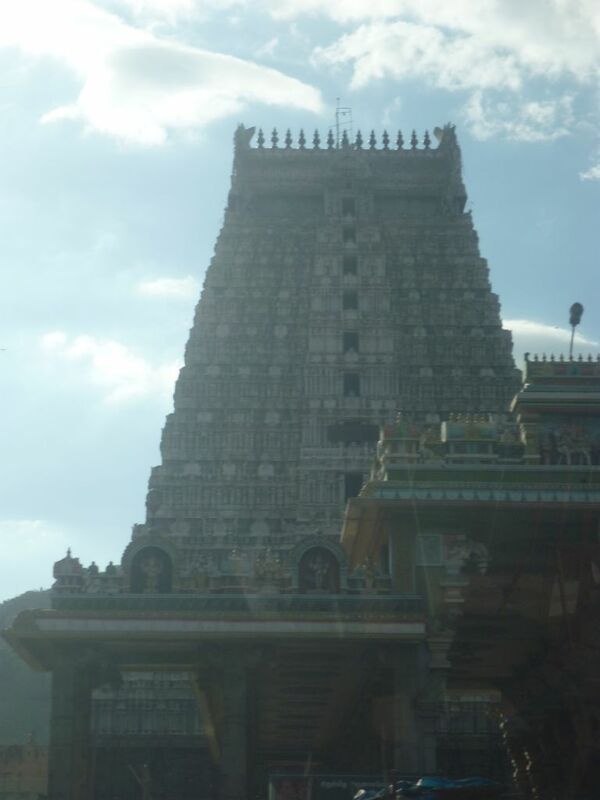 We were allowed to sit at the very front in the temple, nearby the Shiva Lingam, which is normaly not easily possible. So we had the same blessing at the divine mother yet, we ´ve been treaten like VIPs, were very impressed and happy about this sensationlal experience! This entry was posted in India and tagged india, navaratri, shiva, shiva temple, tiruvannamalai, Yogi on September 30, 2014 by jennyhumke.